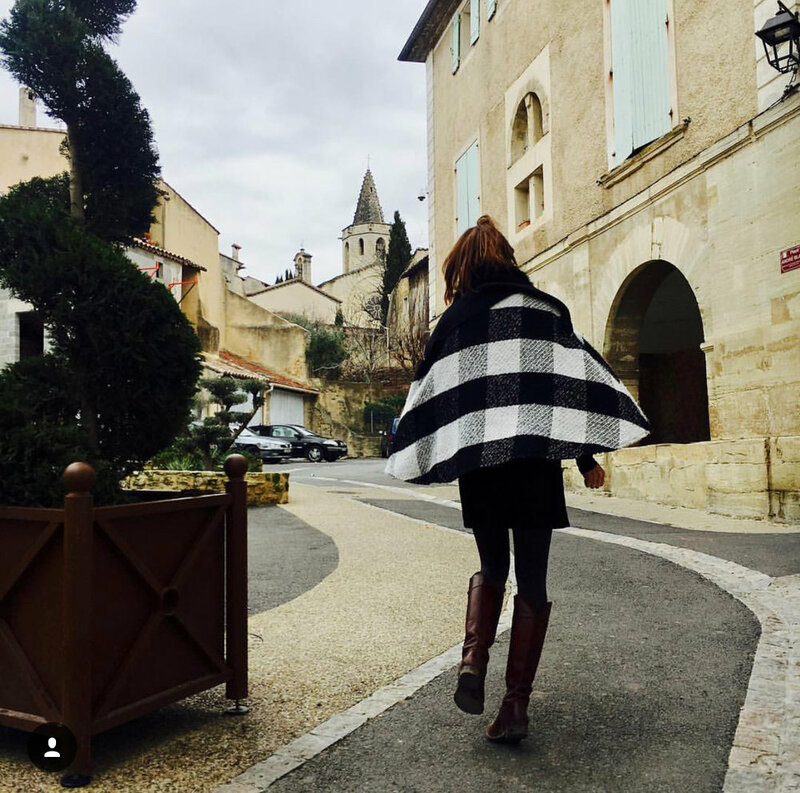 For the first 5 months of the year, I was living with my husband in the South of France. Provence, as they call it. Yes, it is everything that you can imagine. Provence is COMPLETELY beautiful. 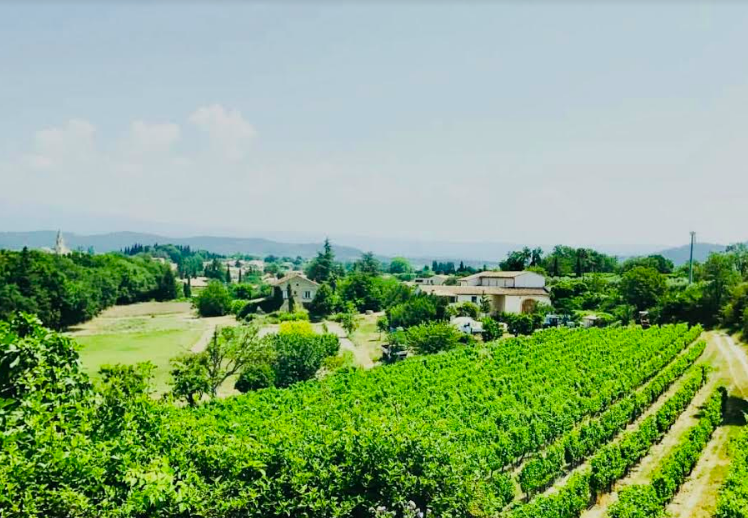 What's not to delight in living in a small, Romanesque village surrounded by vineyards. The food is fresh, simple, and delicious. The wine is made in the fields nearby and unbelievable. Just outside the village walls! The colors here are SO vibrant. Now I understand why the impressionists came here. Leaves are just sprouting for Springtime! And as awesome as the landscape, food, and lifestyle was... I was really excited to understand why French fashion has the aura and status it does. What is it about it that makes it SO coveted and admired??? 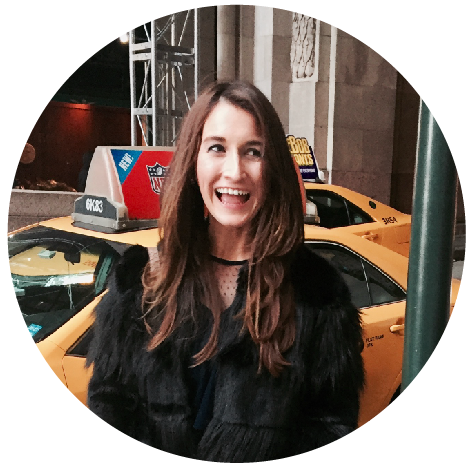 I eventually found that there are 5 KEY DIFFERENCES between French fashion and American fashion. I found these differences by looking at my OWN closet and seeing which clothes I did NOT wear anymore, and WHY THAT WAS. The clothes I brought from the States were primarily neutrals in pretty classic cuts/styles. A good start! However, there was onnnnnnnnnne dress I never got around to wearing. AND I’ll attribute this piece as a consequence of being raised in LA. Besides the fact that I've been advised by TSA not to wear this dress going through airport security, I also am not likely to wear it in Provence. This dress is just "too much" for the French. "Mais mademoiselle, vous etes tellement belle! Pourquoi portez-vous ceci? Ca vous cache!" It's too flashy. It's bold and trendy with the styling... it cries for a presence. It's fun and is a dress looking to have a good time! It might work for La La Land... but it just doesn't cut it for Provence. So what did I learn, by the fact that I never wore this dress in France? # 1 French fashion is relaxed with an artful ease. The French never feel ‘forced’ or ‘made-up’. Fashion is pleasant on the eye and never contrived. #2 Shoes for the win! Simple outfits turn ultimately chic with a KNOCK-OUT, well made, designer shoe. It's better to have a few shoes of higher quality than a bunch of sub-par shoes you just "get by with". #3 It must never be “too much”. 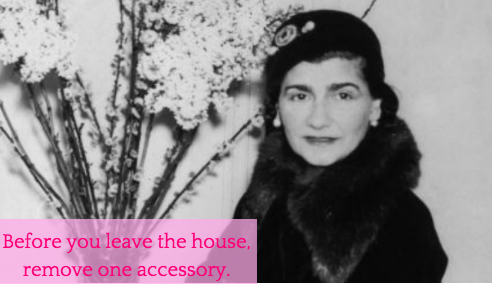 As Coco Chanel says, "before you leave the house, remove one accessory." The cape says enough! At most it needs is a smidge of dainty jewelry... but that's it! #4 French fashion is about classic silhouettes & prints, made impeccably well. Investment pieces are timeless AND with beautiful attention to detail. Even down to the lining of a coat and stylistic seams do NOT get forgotten. #5 Choose a natural makeup routine over "Done-up"
Daytime makeup is light and VERY natural. It's more common to spend more money on skincare products and foods for a healthy glow rather than makeup. Et voila!! I've also chosen a few pieces below for you to shop!! These pieces will get you on your way to that French Aura and coveted Look! Try the French style and let me know what you think. QUESTION: How do YOU think French fashion is different?